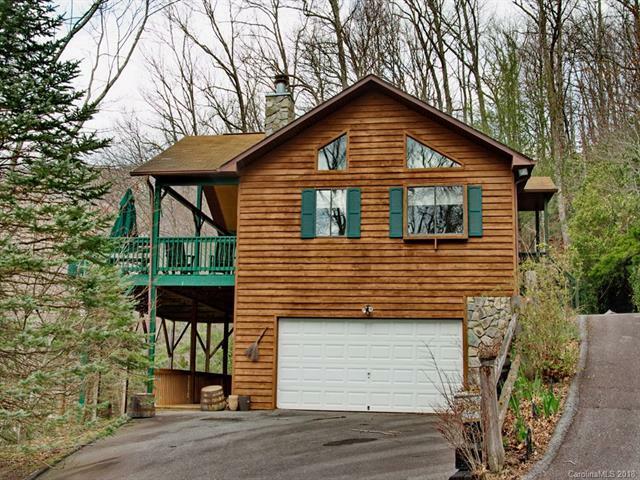 Mountain Living and conveniently located in beautiful Maggie Valley Country Club Estates. Cabin Ranch style, with lower level. vaulted ceilings, open floor plan, Beautiful stone surround fireplace to enjoy. Master Bedroom & 1 Bedroom on main level, 2nd master on lower level. FP, Vaulted Ceilings. Spacious 2-car garage, room for workbench and storage. Two back decks to enjoy the views. End of road privacy.